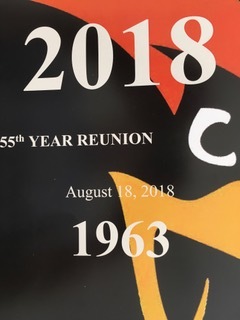 we’d graduated fifty-five years earlier, an amazing streak. when times were much simpler, and life wasn’t so fast. I saw those who’d been athletes, those who’d had a car. and those who’d been outspoken and those who were shy. until adulthood made us eventually appreciate the score. from a period when ethics and morals were no mystery. as if we had all hatched from the same primordial egg. who arranged for our venue, to which we would stream. on the eighteenth of August, two thousand eighteen. in their favor, so wrong and unfair we wanted to scream. that a sister high school class could so lower our esteem? from when honesty and fairness were proudly our ‘63 way? Paul,love this. The canter is awesome, I read it to Nancy and it was like reading Dr. Suess. Did you really get ousted from your original venue? Wow that’s messed. We had our reunion in August and had to change venues a week before. I was part of our committee team and that was hard to do, kudos to your committee team. Enjoyed your poem. Will there be another reunion rhyme from Roosevelt High? It will be from a different perspective, and not in the mirror that time has altered. See you on the yellow brick road in Kansas. Sure! Looking forward to seeing you and Rex.